You can use it as a fully adjustable freestanding lamp and put it onto your nightstand. With its flexible gooseneck, you won't have any issues changing the height or the angle of the lamp. Its clip design allows you to clip it on practically any surface. The battery doesn't last for very long. With LNSTUDIO Eye-Care, you'll always have enough light. Its LEDs last for a really long time. You can put it anywhere you want, charge it however you want, and use it any way you want. Its flexible profile makes the model as versatile as they come. The model incorporates an arm made of soft rubber, so it will be able to fit just about any working posture. 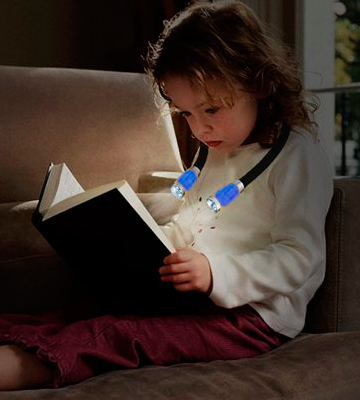 The book light comes supplied with a nice little Velcro strap that you can use to fix both ends of the lamp together. This way, they won't wobble around your neck. The USB port is positioned in an inconvenient manner. LEDGLE 2585424 doesn't tie you to any location. You can put this thing in your pocket and take it with you on a night jog. It's a small book light but it packs a particularly bright punch. Plus, it allows you to shape it however you like and control the brightness. 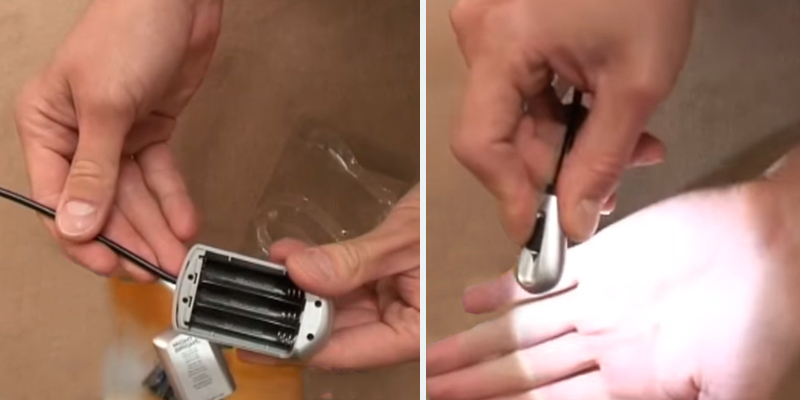 It delivers a soft light source that doesn't flicker and doesn't make you dizzy. 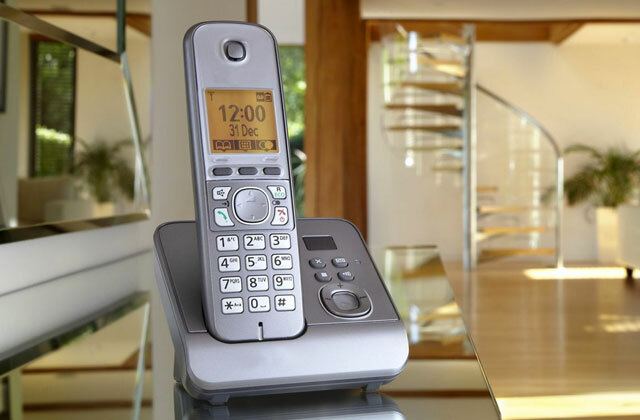 The model allows you to adjust colour temperature between 2800 and 7000K. This way, you're able to choose the light that you like, from the orthodox lightbulb colour to a cloudy blue sky. The battery takes some time to recharge. TopElek GDGELE052AB is a classic nightstand lamp with a slightly more modern take on the old formula. It incorporates all of the conveniences of its predecessors but gives you a lot more settings to work with. The flexible clamp holder can be opened up to 2.36 inches and attached to your laptop, book, and even headboard of your bed. If needed, you can place this lamp on your desk. The switch isn't particularly sensitive. 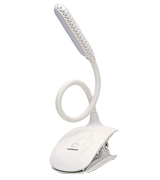 The Raniaco JRRL001 is a stylish and smart lamp that boasts high flexibility, twelve bright LEDs, and three brightness levels for your reading or studying needs. You can switch between settings just by touching the base of the unit. The lamp produces very natural light that creates no tension for your eyes at all. The book light works off 3 AAA batteries that come with the package. It takes the lamp almost 30 hours to burn through those batteries and, this way, you don't get tied to a socket or any other non-portable source of energy. You can't adjust the brightness. Mighty Bright Xtraflex will prove a great choice for late-night readers who share a bed with light sleepers. It gives you just enough light to enjoy your favourite books without disturbing your significant other sleeping next to you. LNSTUDIO Eye-Care is a sleek and versatile lamp that has a lot going for it. With its minimalistic and sharp black profile, it won't look out of place in any room. You can use it as a fully adjustable freestanding lamp and put it onto your nightstand. With its flexible gooseneck, you won't have any issues changing the height or the angle of the lamp. On top of that, the model incorporates a clip design that allows you to clip it on practically any surface. It is perfectly suitable for music stands, orchestra pits, pianos, various other applications, and, of course, reading. Equipped with 18 LEDs, the lamp is as bright as they come. But it isn't just about the brightness either. Featuring an optical grade lens, the model evenly distributes light without any hotspots, so you won't be putting virtually any stress on your eyes, making it perfect for bedtime reading. 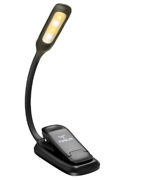 One thing that makes this reading lamp favourably stand out from the crowd of its peers is its 2-way charging. 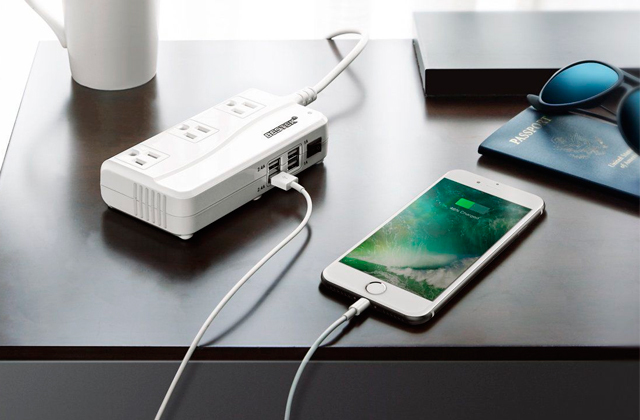 You can charge the lamp via an AC adapter or using a USB charging cable, which is a really convenient option to have, as you'd imagine. 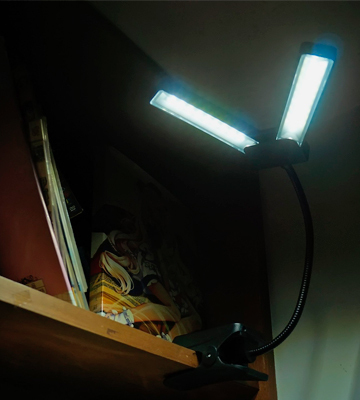 By the way, though the model weighs over 250 grams, making it a touch heavy compared to other lamps in this review, you can easily bend it to a compact size and take it with you. In short, with LNSTUDIO Eye-Care, you'll always have enough light. Its LEDs last for a really long time. 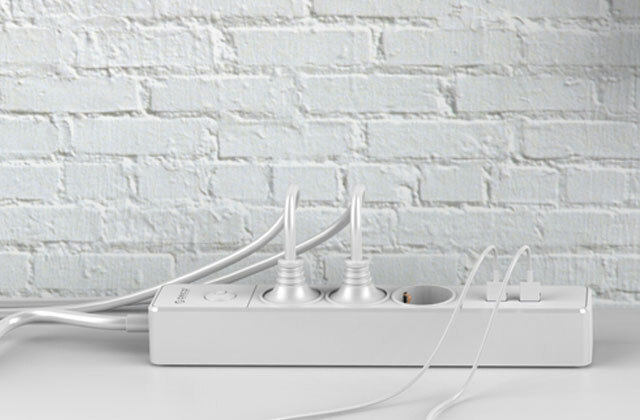 You can put it anywhere you want, charge it however you want, and use it any way you want. Its flexible profile makes the model as versatile as they come. We don't know if it's the best book light but it is definitely up there with the best of them. 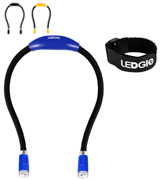 LEDGLE 2585424 frees your hand and allows you to bring your light with you wherever you go. As you can infer from the pic, this is a hands-free model, with all of the advantages that come with it. Aside from reading, the lamp is just as suitable for night jogging, mending, and a bunch of other applications. It incorporates an arm made of soft rubber. An arm like that allows you to shape the lamp however you desire, so it will be able to fit just about any working posture. Plus, the model comes supplied with a nice little Velcro strap that you can use to fix both ends of the lamp together. This way, they won't wobble around your neck. As you can guess, this is a small book light. It weighs just 80 grams and easily fits in any pocket. But, for such a small unit, it packs a solid punch. 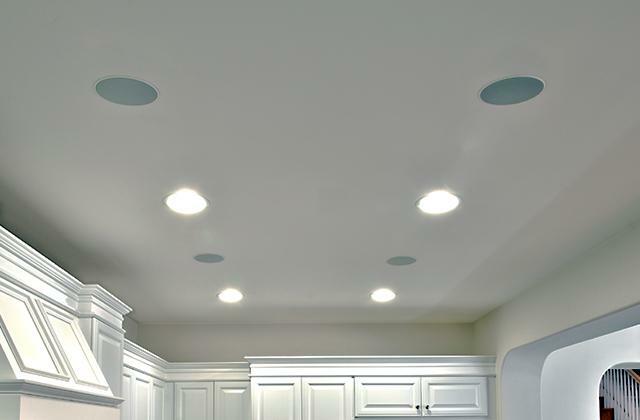 With just 4 LEDs, the model outputs 36 lumens of maximum brightness. In fact, it may prove too bright for certain environments. Although we wouldn't worry about that. Incorporating 4 brightness levels, it allows you to choose and create the perfect brightness for your environment, eyes, and preferences. Plus, the powerful battery lasts for 6 hours and takes just 3 hours to fully recharge, which isn't too bad at all. Summing it up, LEDGLE 2585424 doesn't tie you to any location. You can put this thing in your pocket and take it with you on a night jog. Again, it's a small book light but it packs a particularly bright punch. Plus, it allows you to shape it however you like and control the light, making it an equally great tool for kids and adults. TopElek GDGELE052AB incorporates a classic bedside nightstand lamp design. It doesn't necessarily bring anything new to the table but every part has been designed and implemented with utmost user convenience in mind. Equipped with 4 LEDs, this thing delivers a light source that's soft, doesn't flicker, doesn't cast much of a shadow, doesn't make you dizzy and, all in all, reduces eye strain as much as possible. 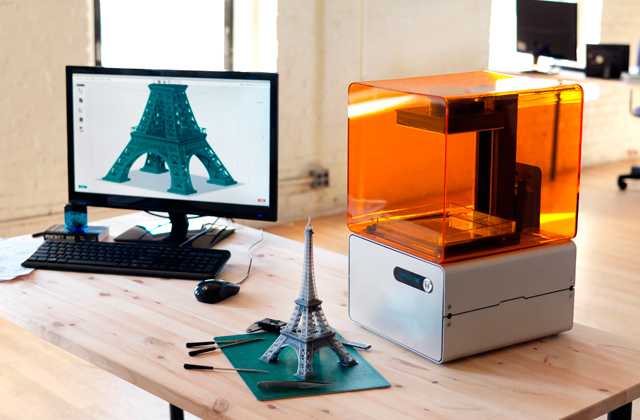 On top of that, the model allows you to adjust colour temperature between 2800 and 7000K. This way, you're able to choose the light that you like, from the orthodox lightbulb colour to a cloudy sky. Other than that, there isn't that much to this lamp that we haven't seen before. You get 3 different brightness settings, so you get the ability to choose the brightness level. 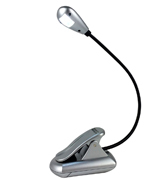 Its flexible gooseneck allows you to adjust the angle and the height of the lamp. There's this nice little silicone surface that protects the pages from being clamped. On top of that, it provides a much more secure grip compared to the usual naked neck. Finally, the non-slip stand keeps the model in place. 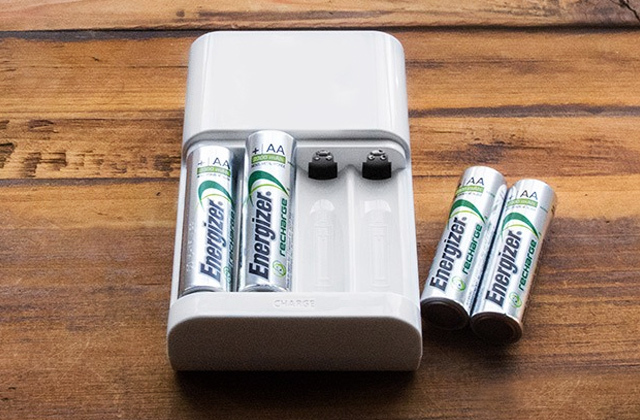 The 1000mAh rechargeable battery lasts for up to 12 hours. It takes a while to recharge but, other than that, everything's peachy here. To rephrase our earlier point, TopElek GDGELE052AB is a classic nightstand lamp with a slightly more modern take on the old formula. 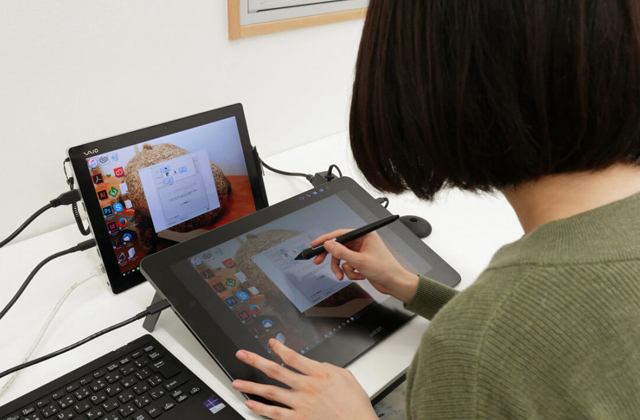 It incorporates all of the conveniences of its predecessors but gives you a lot more settings to work with. 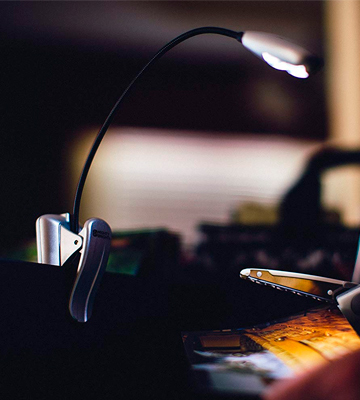 The LED Clip by Raniaco is an incredibly smart reading light. It has a versatile design with a clamp that can be opened up to 2.36 inches. Therefore, it can be easily clipped not only to a book but also to your laptop or even the headboard of your bed. 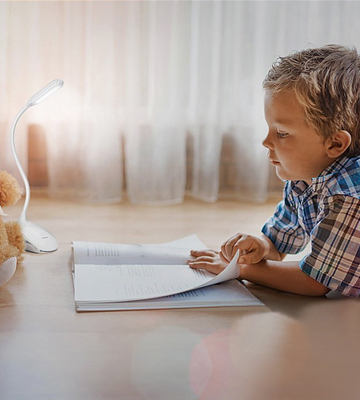 Its neck is very flexible and can be bent up and down as well as rotated up to 360 degrees to let you direct the light exactly where you need it. Also, you can use the clamp as a stand. Thanks to the anti-slip silicone pad, it will sit perfectly on your desk or any other flat surface. The lamp offers 3 brightness levels for different needs - Soft, Bright and Strong. However, the best part is that you can adjust the light just by touching the base. On the lowest setting, it's dim yet bright enough to let you read at night without influencing your partner's sleep. The light is very natural and gentle on eyes. 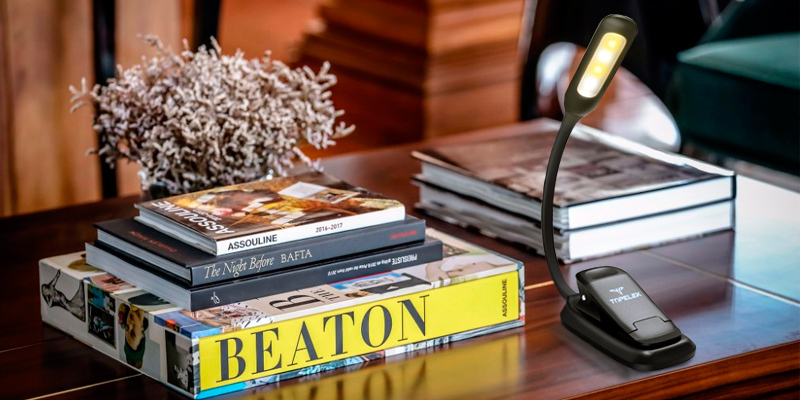 The lamp has a built-in 1000mAh lithium battery and can work up to 24 hours in a dim setting, 12 hours in medium mode, and 6 hours in the brightest mode. 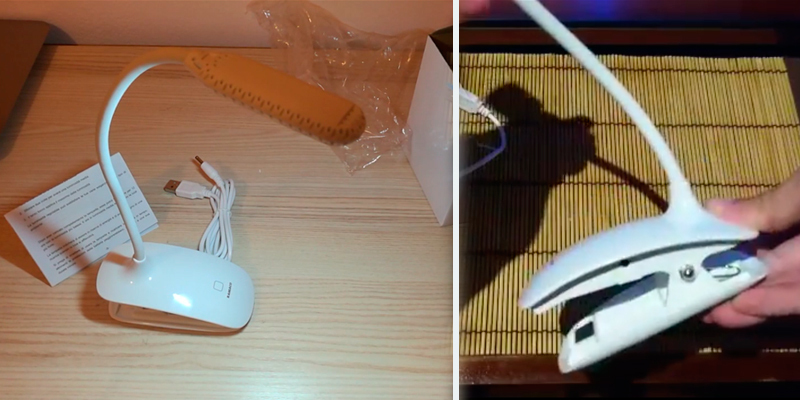 The lamp is supplied with a USB charging cord and gets charged in 12 hours. Once the battery is full, the red safety charging indicator light turns off. The lamp looks nice and very stylish. It's offered in classic White and Black colors and suitable both for home and office use. Mighty Bright Xtraflex is, for the most part, a simple lamp and that's exactly where its advantages lie. Its flexible gooseneck adjusts firmly but quietly, so it won't disturb your partner sleeping next to you. 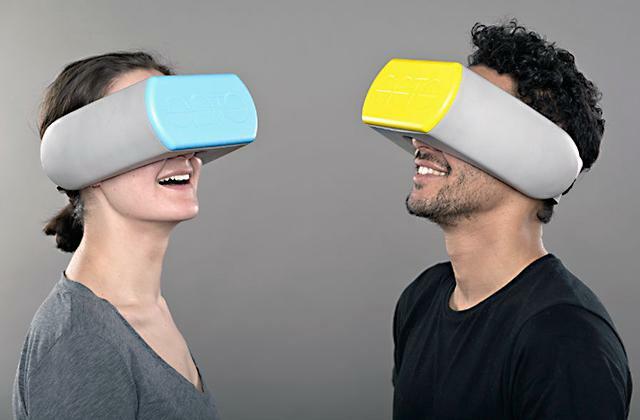 Speaking of which, with 2 LEDs that cast 12 lumens worth of brightness, the model is bright enough to illuminate a couple of pages but not that bright that your significant other will feel inclined pulling the blanket over his/her head. As the people behind the product have so eloquently put it: "it casts radiance on the reader, not the sleeper". Couldn't have said it better ourselves even if we tried. Sure, it's not without its flaws. With just 1 brightness level, you won't be able to tweak its brightness, which is a bit of a shame. Sure, as a book light, it works wonders. But there are other scenarios and environments and the model might just very well prove a tad too bright or not bright enough for those scenarios and environments. On the bright side (sorry, we had to), this thing works off 3 AAA batteries that come with the package. Sure, you'll have to replace them every now and then. But it takes the lamp almost 30 hours to burn through those batteries and, this way, you don't get tied to a socket or any other non-portable source of energy. 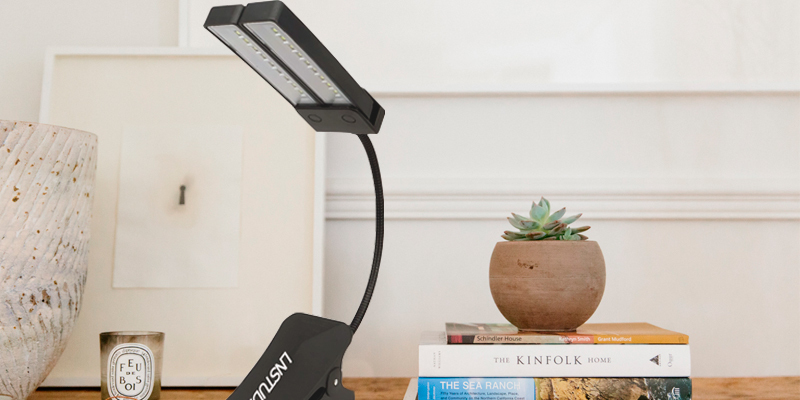 To put all of it a little differently, Mighty Bright Xtraflex is the best book light for late-night reading and for those who share a bed with light sleepers. It gives you just enough light to enjoy your favourite books without disturbing your significant other sleeping next to you. What Is a Book Light? A book light is a great invention for people who can't imagine their life without reading, all day, all night. Reading lights come in different designs and usually have several brightness settings for various lighting conditions. The lowest light is good for the nighttime reading when you don't want to disturb people around you, while the brighter setting is ideal for the daytime. Moreover, some models are made specifically to reduce the glare on e-readers. As for design, the choice is also vast here. You can find clip-on lights that are very convenient to use and can be fastened not only to your book but to the headboard of your bed as well. 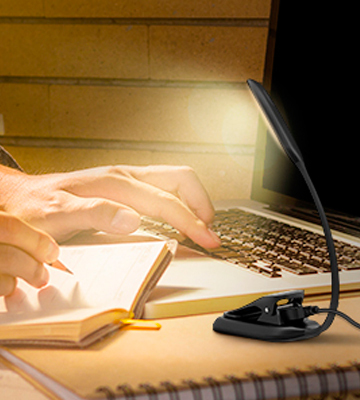 Plus, some clip-on models can double as freestanding lights, which allows you to put them directly on your desk. 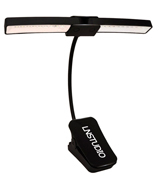 If you need a more versatile option, you can go for around-the-neck lights with dual LEDs. They deliver a hands-free reading experience for ultimate comfort. 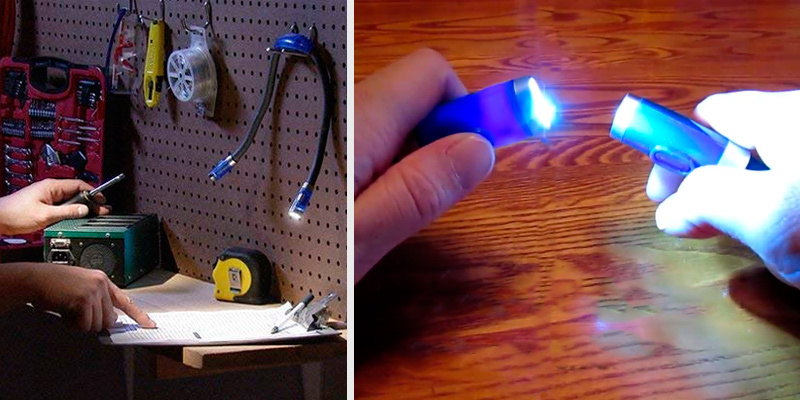 Additionally, they are very handy for working in dark spaces when you need to use your both hands. 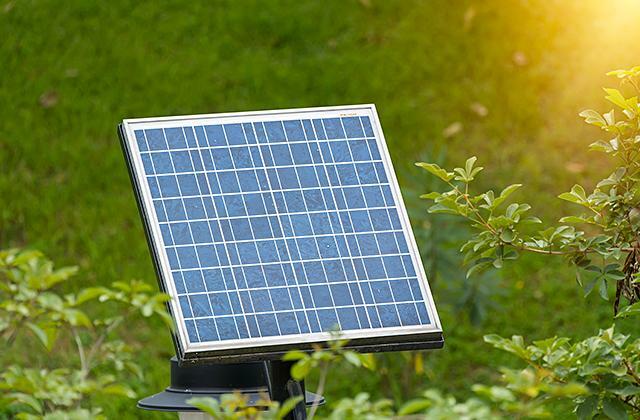 Considering the power source, you can find lights that use regular batteries or rechargeable ones. 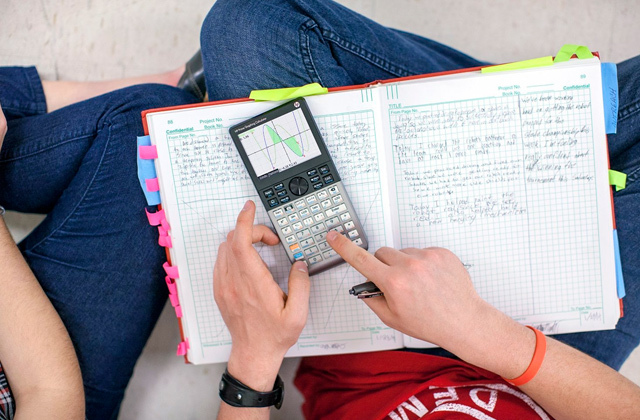 If you often read on-the-go, getting a model powered by standard cell batteries is a sensible option, since you can always have spare ones in your backpack and never run out of light. As you see, there are tons of options on the market, and it might be difficult for you to find the one you really need. We hope that our review of the best reading lights will help you with this tricky task. 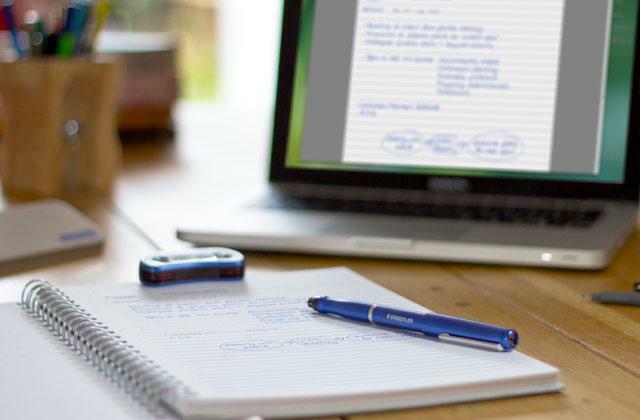 If you want to protect your eyes while reading or working on your laptop, we recommend you to get reading glasses. Prevention is better than cure. 1. Claudia Hammond Is reading in the dark bad for your eyesight? BBC. 2. 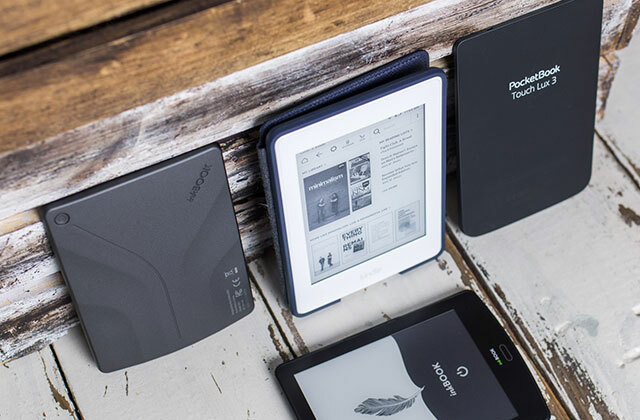 How eBooks lost their shine: 'Kindles now look clunky and unhip', The Guardian. 3. Ebook E-Ink and Anti-Glare Question, CNET. 4. E-Readers vs. Book Books: A Book Lover Weighs the Pros and Cons, Apartment Therapy. 5. Naomi S. Baron The case against e-readers: Why reading paper books is better for your mind, The Washington Post.